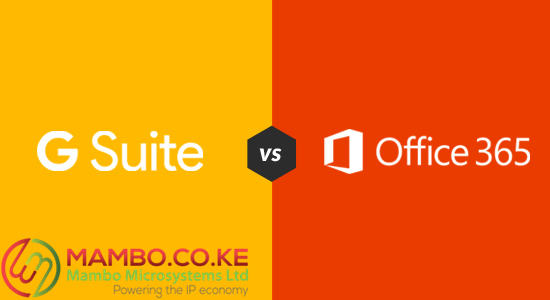 Home / Blogs/blog/Is Microsoft Office Online similar to Google Docs? Google has the Google Drive application, which is home to the Google Docs. Google doc is a suite of productivity applications that include collaborative editing of documents, spreadsheets, presentations etc. that allows for file sharing. This makes it the perfect teamwork tool for the office. These productivity tools are available for free with a limited amount of online storage but enough for an individual to store loads of personal documents, files, images and even videos. Google docs actually work very well while editing word documents online. IT is easy and convenient because the application is now available via the Apple app store, and the Play store for android phone users. It is even possible to download your Google Docs document as a word document, making it more compatible with desktop files. This is easier for sharing with others who use the Microsoft productivity suite for office. However. Microsoft is not as friendly when it comes to Google Docs. To open a google docs document in word, one will have to convert it first. Google docs can also be used offline. One simply needs to activate it by accessing the settings icon on the upper right-hand corner, and then select set up Google docs offline. There is a two-step process where the user will have to click to enable by clicking the offline docs button. The docs to be accessible offline and to install the drive web app for chrome if you are doing this via desktop. The two are similar in that they offer cloud-based solutions. Googles word processor serves as a cross-platform, it also syncs automatically as you edit. Similar to its counterpart Google spreadsheet, and the docs are easily shareable, as previously mentioned. Microsoft has been around for a long time, and over that period of time, it has gotten loyal and dedicated clients on their side, who will not for nothing move to another platform. However, the shift has been gradual, the same way people started shifting their email address from Yahoo to Gmail. Today, the most personal email accounts are Gmail accounts. It is not just about convenience it is also about quality, and Google does make quality products for their customers. Starting with their search engine. Now while Google docs are available to everyone who has a personal Gmail account, Microsoft word online and its productivity suite are only available for purchase. The program is installed after purchase on a selected number of devices on the plan level you choose. This makes more inaccessible, however, Microsoft’s target has always been the enterprise or business clients. It has also been well received by companies who are already familiar with their products. The office 365 plan works for both business and home users at a fee. However, word online was not always a part of the package. It was until 2010 when Microsoft made it available to their customers. The purchase comes with other productivity tools like Excel, Powerpoint, Outlook, One Note, Publisher, and Access. Microsoft word online offers a more streamlined experience to work and load faster. A couple of ribbons and toolbars were removed to make the experience better. However, Microsoft Word is better to run on the original from the start than online alone. To load int google docs, there are multiple ways and one is via your private email. Once you log into your email, at the top right corner there is an icon that allows you to access the google docs files, that immediately appear among Google’s other cloud-based applications. Like sheets, slides, calendar, chat, google plus, sites and contacts. In an effort to catch up with Microsoft Google has updated several of their productivity apps to make them friendlier and more functional for business. Since they are aiming for the same target market with their suite of apps, many new features have been introduced.